Treat your body with natural products that have an ingredient list you can actually pronounce. 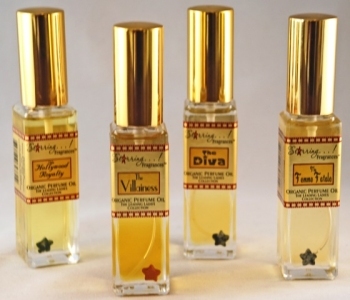 Personalize your own scent with Starring! all-natural paraban-free perfumes, which contains an exclusive blend of organic oils such as Coconut Oil and Certified Organic Jojoba Oil. Choose from Hollywood Royalty, The Supermodel or Girl Next Door. to capture your unique personality and customize a fragrance starring you! StarringFragrances.com, $40. Get baby soft skin with C the Body Scrub. It contains carrot juice and essential minerals from the Dead Sea which helps get rid of dry patches and leaves your skin glowing. Available at Walgreens, $9.99. 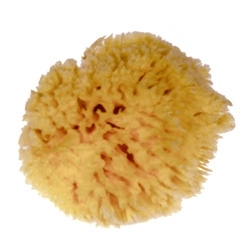 Throw away that rough washcloth and invigorate your skin with Bettijo’s Luxury Natural Sea Sponge. BathByBettijo.com, $16.